LottoPredict is the biggest breakthrough since I invented the Silver Lotto System back in 1991. And just a couple of years later I discovered a System that gave me winnings of over $2 million on paper. I was set for life. Many times in later years I would come away from the lotto store with zero winnings. The excitement of getting multiple wins in past weeks suddenly disappeared as none of my tickets won a cent that week. This went on for years until suddenly the penny dropped. I was buying tickets at the wrong times! There's a sequence to winning numbers. You've probably noticed that some weeks your numbers are so far out it's unbelievable. Then, the following week you get a series of wins that make you wonder what went wrong. As soon as I discovered this pattern, I jumped on it. Because number patterns are my business. It took many more long months before I was able to break the code, and LottoPredict was born. I first named it Lotto-80 because it had a reliability win factor of at least 80%, and changed the name a few years ago. Along with the 80% improvement that the Silver Lotto System gave meant that both boosted the total win rate up to an amazing 92%. Suddenly I could choose when to buy my tickets. And my winnings climbed rapidly. This breakthrough gave the whole system a boost and made it what it is today - a hugely efficient form of lottery winning for serious players. And a climb to over 98% win rate for me and many others. 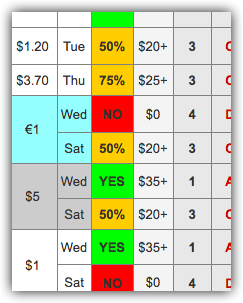 So while you can use the Silver Lotto System quite happily, even playing with as little as $10 a game, your chances will be vastly improved each time when you use the LottoPredict chart. It's been a long time since I sat in the cramped room I called my home office at a remote farmhouse. Sheets of paper spread all over the desk. A solitary light shining each night for the years I tried to break the lottery winning code. LottoPredict has been so effective that I've never needed to change it. I just update the figures from time to time as more research improves the averages. Today you can buy my years of research for just a few dollars. I keep prices this low because I want I share my secret and improve the lives of many winners. LottoPredict is simple to understand because I've done all the hard work. Each week I calculate which of the world's lottery games have the best chance of winning when used with your Silver Lotto System. For you, the lottery player, it can't get any easier. Just login to your LottoPredict membership and see immediately if you should play - or save your money by waiting for the next game. You'll choose from among 56 games and 115 game days in the chart (see if your games are in the sidebar on the bottom right). In LottoPredict you select your game and check out the colored box alongside. The colored boxes will tell you how well this game will match your Silver Lotto System for the next lottery you're going to play for the upcoming week. LottoPredict tells you whether you should play this week - or to save your money for a better week. And you can decide in less than a couple of seconds! No guessing which week is the best one to play! Just log into your System membership site and look for your game on the LottoPredict chart. You'll get an instant decision that tells you whether you should play this week, or save your money for the next game. It will save you a lot of wasted play money. Imagine not playing one week, and welcoming a chance to save your money for the next game. You only play when the conditions are right. Each time you see the green square against your game, you know your win chances are higher. You don't have to worry about whether your play money is being spent correctly. No more regrets! Thousands of winners have used LottoPredict.… so many I don't even bother to list the selection in the testimonials any longer. If your game is in the chart on the bottom sidebar, you're good to order! You get full access to all 56 games and 115 game days. 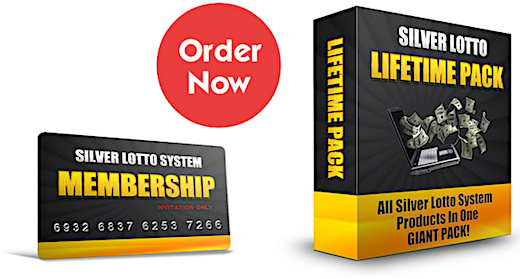 Already have the Silver Lotto System? Just login here to your Silver Lotto Membership Site and order your LottoPredict instantly from the top menu.